Home/Marketing & Infographics/What is The Noakes Foundation Affiliate Program? Why have an affiliate program? The market has been flooded with products that claim to be low in carbohydrates, LCHF, Keto or Banting-friendly, but how do you know that these products and the claims they make are true and can be trusted? The Noakes Foundation has chosen to work with a select number of affiliate brands and products to ensure that as a consumer you will always have access to a range of products you know you can trust. These products have been independently tested and vetted to ensure they are of the highest quality standard and are safe for Banters. 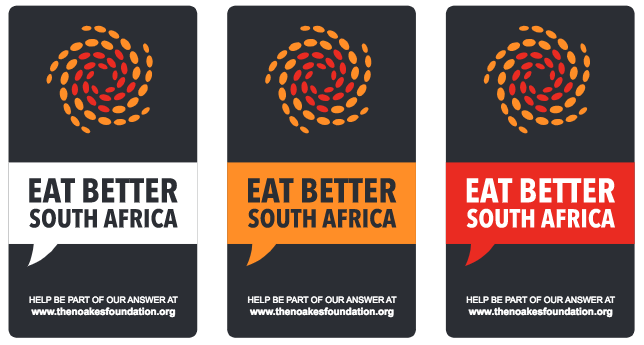 These affiliate brands have also been tried and tested by the team at The Noakes Foundation, and are brands that are committed to employing the best ethical practices. We select and support ethically aligned brands who operate in the LCHF category and work with them to support their development, market penetration and growth. 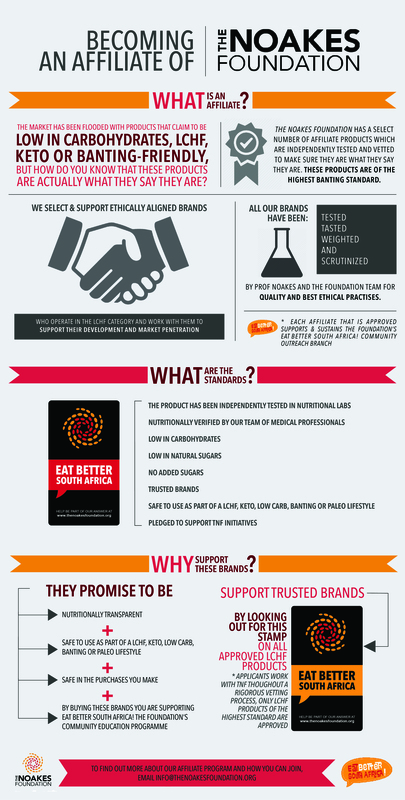 Each affiliate that is approved supports and sustains the Foundation’s Eat Better South Africa! community outreach initiative.